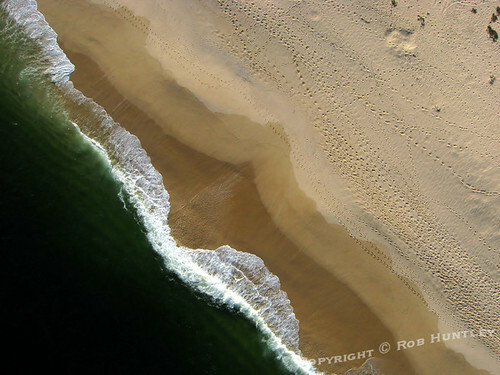 The talented Rob Huntley of Ottawa, Ontario has managed to capture many beautiful images by suspending a camera rig below a kite. 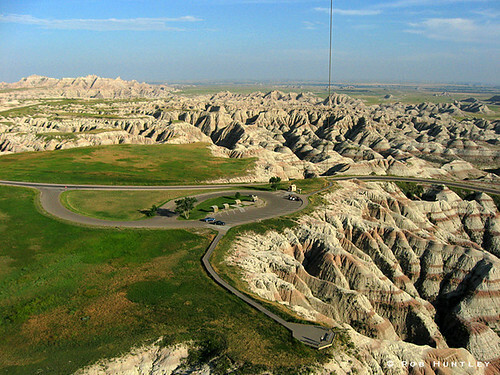 Badlands, South Dakota – Kite Aerial Photography (KAP), originally uploaded by Rob Huntley. 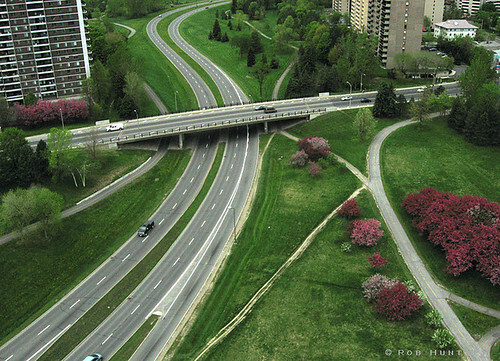 Ottawa River Parkway, Lincoln Fields – Kite Aerial Photography (KAP), originally uploaded by Rob Huntley. 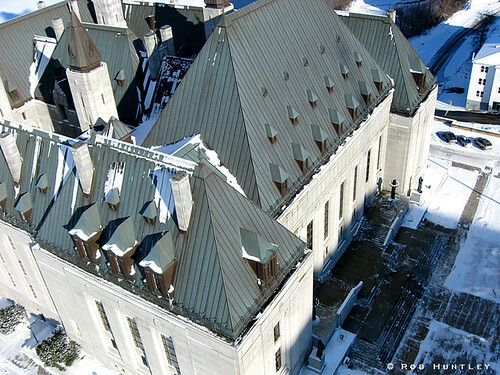 Supreme Court of Canada – Kite Aerial Photograph (KAP), originally uploaded by Rob Huntley. 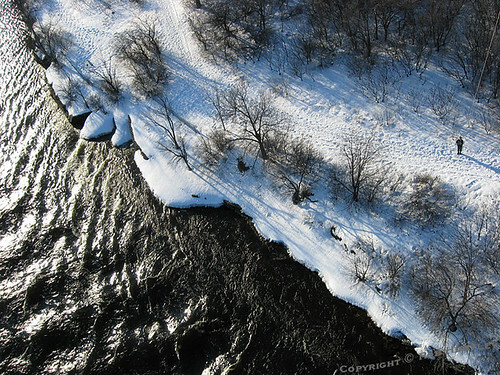 Shoreline at Deschenes Rapids – Kite Aerial Photography (KAP), originally uploaded by Rob Huntley. 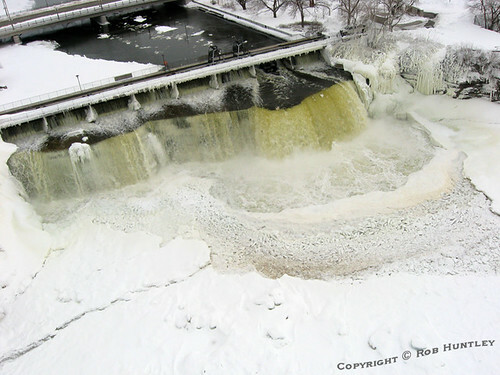 Rideau Falls, Ottawa – Kite Aerial Photography (KAP), originally uploaded by Rob Huntley. Playa Arena, Huatulco, Mexico (Kite Aerial Photography – KAP)., originally uploaded by Rob Huntley. 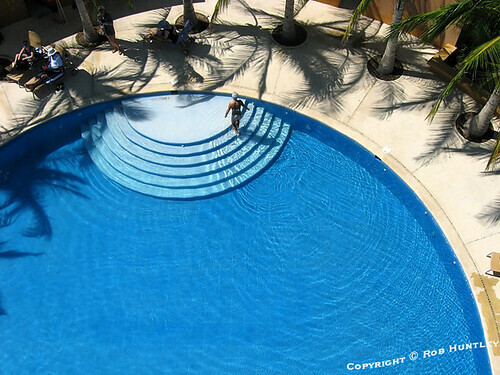 The pool at Playa Tejoncito (Kite Aerial Photography – KAP)., originally uploaded by Rob Huntley. For more images, go have a look at his KAP 2008 and KAP 2009 Flickr collections.